← SEW MODERN RETREAT 2014!! Finally I got to meet my good friend Diane’s 2 month old grandson. 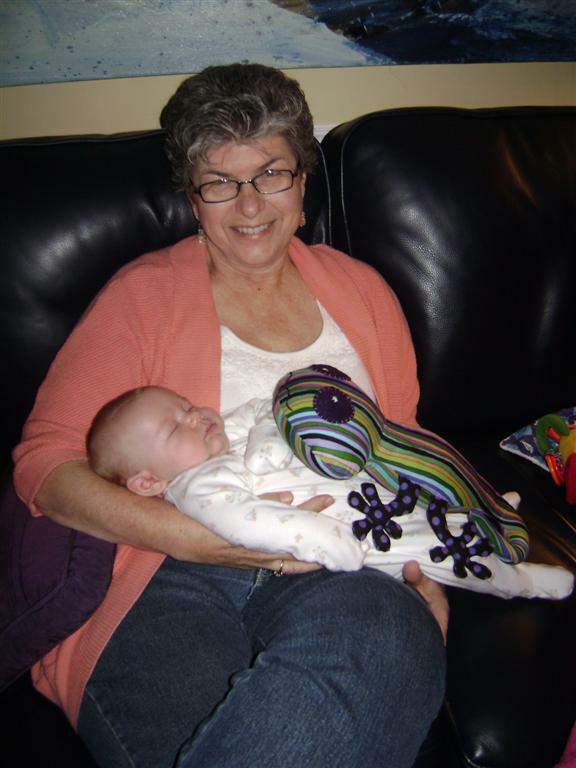 John Patrick is every bit as cute and adorable as she has been telling everyone – very much the proud Grandma! 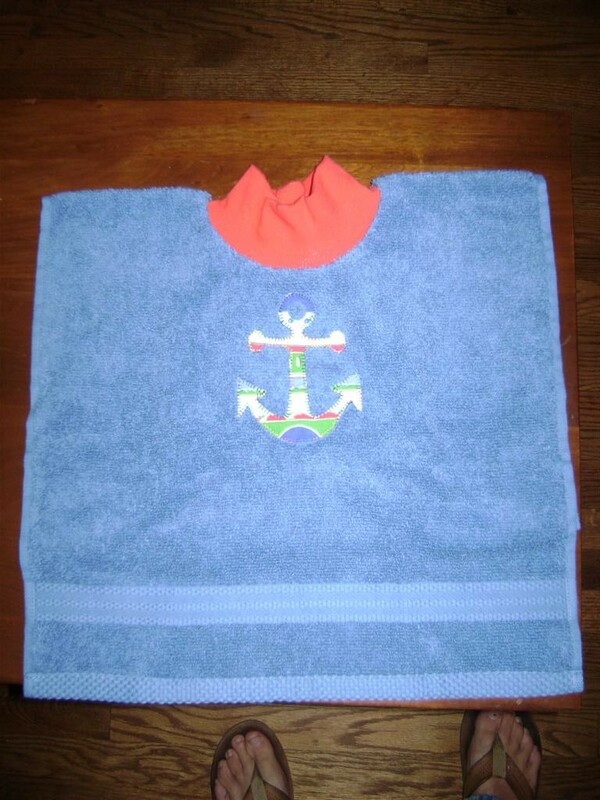 I decided to do a couple of practical gifts – “towel” bibs with an anchor and a whale applique to go with his whole nautical theme. 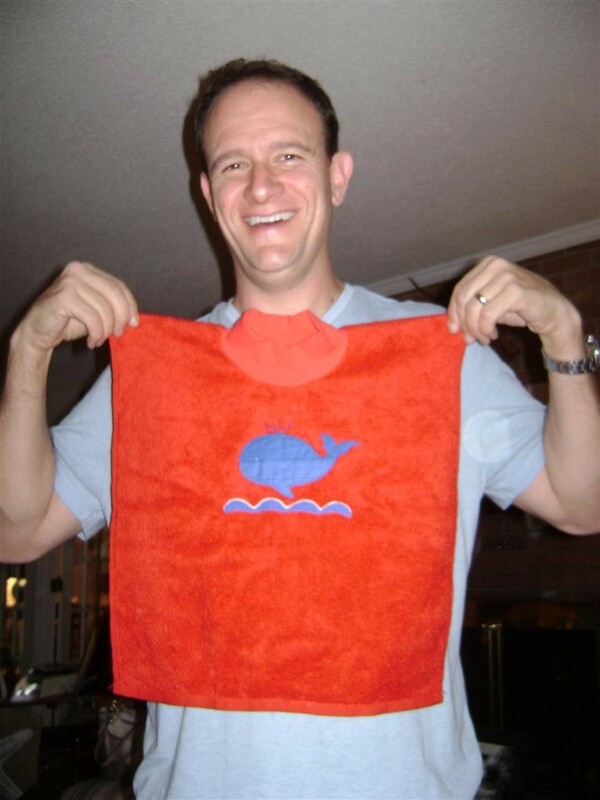 The bib doesn’t exactly fit his Dad! And then I did the stuffed lizard. It is really stinkin’ cute but…never again! Those little feet took forever to stuff. And yes, I even had the stuffing fork and the good filler. Hopefully he’ll have some fun with it when he get’s older. It was nice to veer away from quilting for a bit, but now it’s back to cutting out a quilt that I want to put together on an upcoming retreat. Love!! Such a pretty pic of you momma!